One of the reasons Captain America: The Winter Soldier proved to be a truly enjoyable and entertaining cinematic experience is due to the film's efforts to allow us to connect with the characters, appreciate the bonds forming between them and most importantly, take time to allow us to appreciate the "smaller" moments amidst the thrilling stunts and --spoiler alert -- HYDRA chaos. While we're having plenty of fun dissecting the plot, discussing the film, analyzing the outcome and where Winter Soldier leaves these characters, we thought we'd take a moment to celebrate some of the human moments in the film. Eric's 5 star review lays out plenty of reasons to love this movie. Beyond the thrills and action, with which Captain America: The Winter Soldier is brimming, here are five other scenes or moments in the film that deserve some more love. Not only are we laughing at the tech guy's evident awe of Cap's impressive physique -- Mac people are known to appreciate good design, after all -- the scene works beautifully to ease some of the tension without drastically cutting the suspense. Laugh and breathe, and then move on to Cap and Widow's efforts to escape the mall unseen, which they do. And they kiss on an escalator in the process. 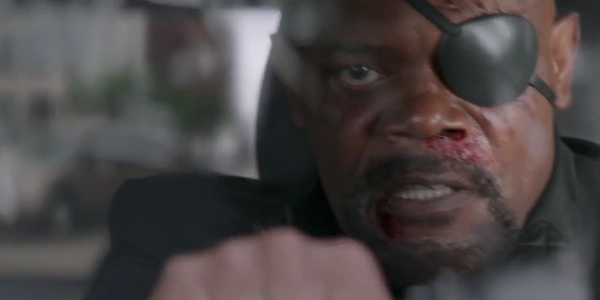 Another tension-filled scene is mixed with humor as Nick Fury's car chase scene demonstrates just how much stress (and bullets) his SUV can take while being pursued on the road by a bunch of guys in cop cars. The ambush results in Fury (Samuel L. Jackson) yelling orders at his navigation system, partially in an effort to make sure the glass holds up long enough for him to prepare to fight back and get the hell out of there. The scene reveals that even a S.H.I.E.L.D. issued SUV has its limits in terms of how much assault it can take. But there is no limit on the amount of air conditioning the vehicle will provide regardless of how many bullets it encounters. The humor of the AC joke is a temporary reprieve from a very intense series of events, as Fury thwarts his assailants only to be attacked by the Winter Soldier himself. Still the action mixed with Fury's never-give-up/never-surrender attitude toward getting himself out of the situation makes this whole sequence one of the most memorable and entertaining non-Cap scenes of the film. Peggy's more adventurous days may be behind her, but she hasn't lost her place in Steve Rogers' heart. 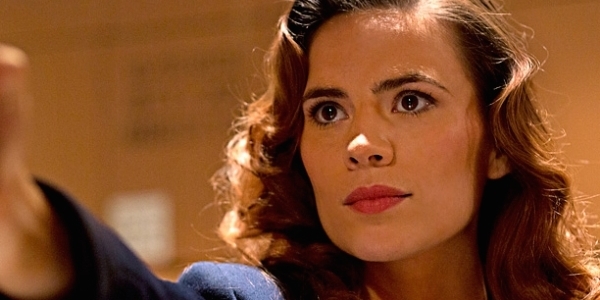 The fact that the film took the time to revisit Peggy (Hayley Atwell) is one more reason to love Winter Soldier. Aged and bedridden, Peggy hasn't lost her smile and she offers Cap some simple but much-needed advice about starting over. It's one of a couple notable nods to Steve Rogers' situation, which seems necessary, since these movies don't have a lot of breathing room to really embrace the depth of each of the heroes' situations. Those moments have to be worked in organically. 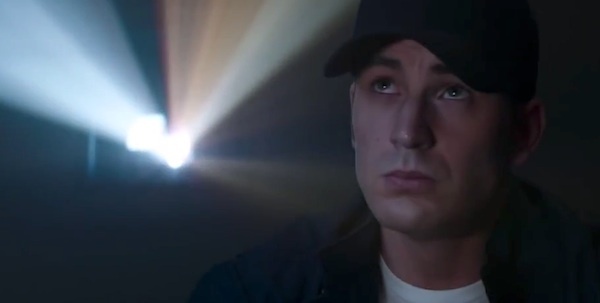 We shouldn't really need to be reminded that Cap's out of his time, but it's good that the film does take the time to acknowledge that in personal ways while also making sure to call back to a relevant connection Cap has with someone from his past. Cap telling Peggy, "I can't leave my best girl, not when she owes me a dance," not only tugs insistently at our heartstrings but demonstrates that he's still the gentleman he was in his own time, and that Peggy will probably always be his best girl. It's heartwarming and a little bit heartbreaking all at once, but it's a wonderful and defining moment to remind us of who this man is behind the mask and shield. Another reminder that Captain America is a man from another time takes place when he visits his own display at the Smithsonian. In what has to be a pretty surreal experience, Cap wanders through the display and humorously acknowledges the recognition he sees on a kid's face. That kid just had the best day and no one is ever going to believe him. Beyond that charming moment, the scene also serves to offer us a bit if exposition by recapping (sorry) Steve Rogers' history with his best friend Bucky Barnes, whose side he fought by during World War II. It's fairly obvious what the scene is doing, but for those viewers whose Captain America background knowledge is rusty or non-existent, the scene is crucial in setting up the big Winter Soldier reveal. To do it in a way that also serves as another nod to Captain America's historical relevance is one more example of how graceful this film was in the way it told its story and made sure to keep much of it centered on Captain America, not only as a hero but also a character. 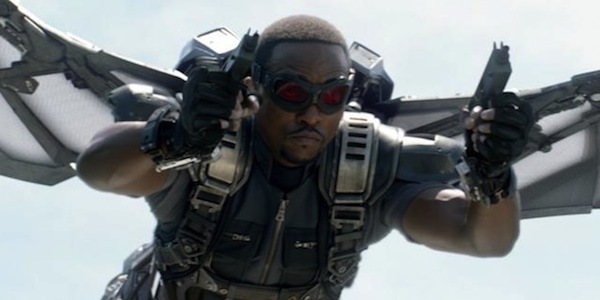 One of the earlier scenes in the film has Steve Rogers running circles around veteran and jogger Sam Wilson (Anthony Mackie) at the National Mall. With each lapping pass, Cap politely announces his presence with an "on your left" to an increasingly frustrated Wilson. The two get to talking afterward and their friendship inevitably leads to the introduction of Falcon, the name Wilson takes when he dons a military issued wing pack. Because who better to serve as Cap's wing-man than a guy with access to actual wings? Wilson's arrival into the story is a little bit conveniently timed, all things considered, but it's eased in nicely enough that it doesn't really matter. And the "On your left" line becomes even more meaningful in the end, as Cap says it when he's laying in the hospital bed. Not only is it a great callback to the start of their friendship, but it feels like it's taken on a more figurative meeting, now that they've fought by each others' side. What was your favorite of these great moments? Peggy is still Cap's best girl. Nick Fury keeps his cool.